Various studies show that students perform better in modern learning environments. 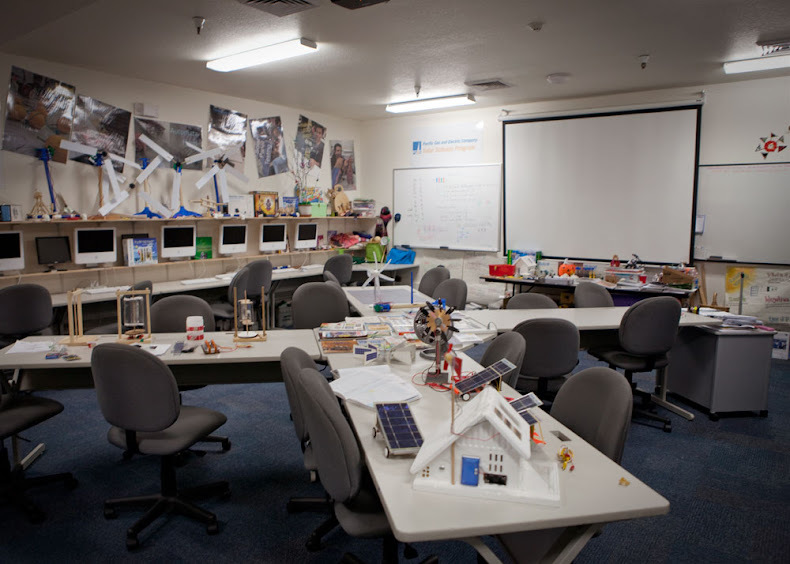 According to the California Department of Education, modern learning environments are not what you find in about 70 percent of classrooms in the state because they are more than 25 years old. To address this, the Clean Energy Jobs Act (Proposition 39) K-12 Program helps schools improve energy efficiency and expand clean energy generation in schools. This is a voter approved initiative that adjusted the corporate income tax code and allocate projected revenues to school districts for energy improvements to facilities. In the second annual report to the Legislature, the Proposition 39 Citizens Oversight Board provides an overview of programs from the California Energy Commission, California Community College Chancellor’s Office, Workforce Development Board, and California Conservation Corps. A jobs report from the Workforce Development Board was also included in the report. The Energy Commission administers three programs under Proposition 39 - grants for K-12 schools, zero-interest loans, and technical assistance services. The report includes information and project data from the Energy Commission covering December 2013 through June 2016. During that time $827 million in K-12 Program grant funding for energy efficiency upgrades was approved. This includes approval of 981 energy project applications by 914 school districts, benefitting 3,519 project school sites. Fifty-two school districts with completed project reports represent $27 million of Proposition 39 funding. An additional 174 school districts have completed project construction and have shifted into the data collection phase. This represents $104 million in Proposition 39 funding. Another 733 energy projects are still in the construction phase, with $151 million in Proposition 39 expenditures. From June 2016 through March 2017, an additional $260 million was approved. The board also made nine recommendations to help strengthen the program across all state agencies. The most pressing recommendation was to extend the Energy Commission’s K-12 Program deadline. The program requires schools to complete steps to secure and contract out for funds by June 30, 2018, meaning applications to the Energy Commission must be received by August 1, 2017. The report identified this timeline as a major challenge to the program. The current deadline effectively shortens the program by eleven months, cutting projected benefits such as job creation, energy and cost savings, and non-energy benefits. The board’s report was sent to the Legislature at the end of March.